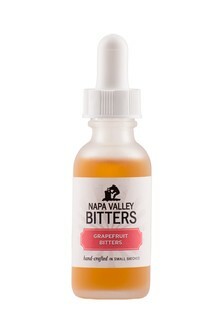 Headed by front man and Napa resident of ten years, Napa Valley Bitters is a spirited, imaginative craft Bitters Company aimed at offering uncompromising quality, premium, often unusual, and classic cocktail bitters and tinctures using only natural, local and organic, ingredients. We view ourselves as strong partners with our customers, our community and our environment. A percentage of our annual profits will be donated to local charities. We aim to become an internationally recognized brand name in our niche market, capitalizing on the sustained global interest in The Napa Valley and Craft Cocktail/Spirits Culture. Our goal is strong growth, annual profitability and maintaining our silly sense of humor! *LIMITED PRODUCTION* Only 250 bottles produced. 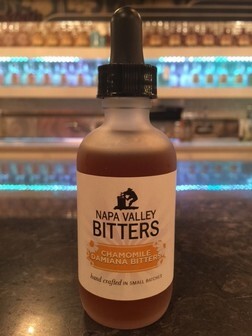 Banana Bitters? WTF? Seriously? Yes, indeed! All natural (real organic bananas!) Banana Bitters will surprise and delight even the staunchest critics and set the adventurous mixologist free. Be part of history and get yourself a bottle of the first and only all natural Banana Bitters. As Elegant as it is bitter. 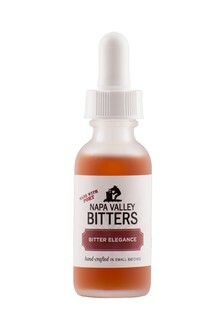 With the base of 7yr bourbon, Aged Rum, Port, sugar plums, herbs, spices and a dose of bitter wormwood; these bitters pack an elegant punch that will compliment any bourbon or rye cocktail. Rich spice, heady aromatics. Great for all cocktails. Try with your next Gin and Tonic! Holy Hot Toddy! 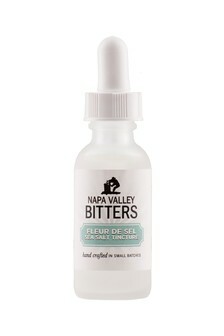 Elegant floral and intriguing herbal notes, these bitters are perfect for classic and new classics alike. Try with Vodka, Gin, and Tequila. Balance your cocktails like never before. A little salt is magic! EXCELLENT in Vodka, Rum, Tequila and Gin libations. What could be better than the marriage of grapefruit and hops? Nothing. Correct. NVB’s IGS packs a hefty ginger kick, which is perfect for any and all Mule Cocktails – Moscow, Kentucky, and Jalisco. 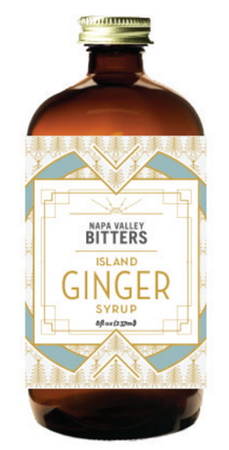 It's 5 o'clock all day, every day when using Island Time Bitters! 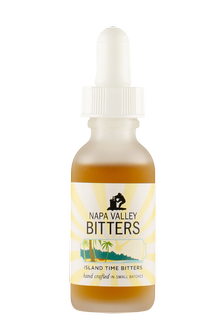 Satisfy all your tropical cocktail cravings anytime with a few drops of Island Time Bitters! This flavor is inspired by the Meyer Lemon harvests in Napa. The Meyer Lemon pairs superbly with the sage herb that is traditionally a savory herb. Delightful in Gin, Vodka, light Rum and Tequila.